Fall, bring on your delicious braises, creamy casseroles, and hearty root vegetables. When the season turns, so does the faire. Out walk cool crisp salads and in come hearty entrees and warm drinks. As happy as we are to see those crisp greens during the summer months, the switch to warming dishes can be equally appealing. There is one qualm many have with fall food. It is labor intensive. The perfect braise can take several hours, and chopping up a giant squash for roasting without losing a finger is no simple task. 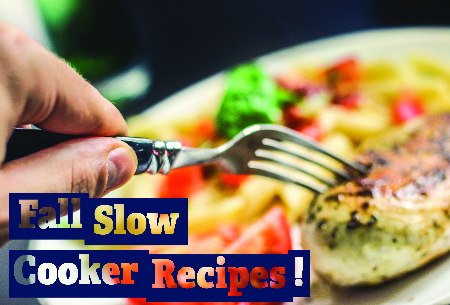 One way to lighten your workload and still enjoy these delectable bites it to pull out one of America’s favorite kitchen appliances: the handy dandy slow cooker. Having a meal – a warm comforting fall meal nonetheless – waiting for you at the end of a busy day is pure bliss. Try one of these seasonal favorites slow cooker style. When you open the door and are greeted by the intoxicating smell of a warm dinner, you’ll be glad you did. Not of these piqued your interest?